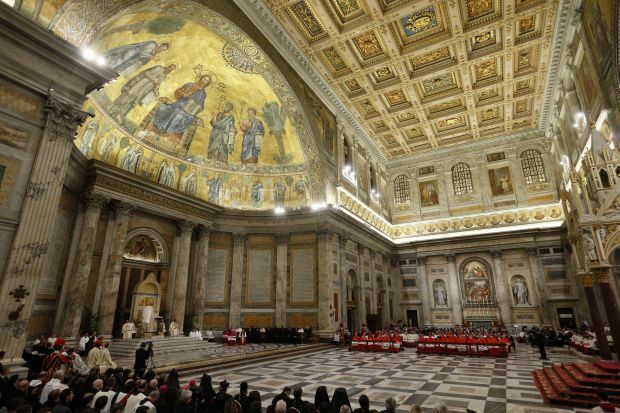 VATICAN CITY (CNS) — Christians are united in bloodshed as they suffer from violence and persecution in various parts of the world, Pope Francis told Christian leaders. Today’s martyrs are men and women, who through their witness to Jesus, are “persecuted and killed because they are Christian,” the pope said Jan. 25 during an ecumenical prayer service marking the end of the Week of Prayer for Christian Unity. Unity comes about by journeying together, the pope said; nothing comes from standing still. Christians must recognize that “we need each other, to come together and face each other under the guidance of the Holy Spirit who harmonizes diversity and overcomes conflicts,” he said. Because of the Holy Spirit, “we have become one with Christ” and loving children of God, he said. “The common commitment to proclaim the Gospel permits overcoming every form of proselytism and temptation to compete. We are all at the service of the one and same Gospel,” he said. 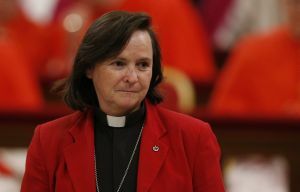 Among those attending the prayer service were men and women belonging to Catholic, Orthodox, Anglican and Protestant religious orders; they had taken part in a three-day meeting on their role in ecumenism. The pope, who met with them at the Vatican Jan. 24, said consecrated men and women were particularly suited for promoting unity because religious life is about seeking union with God and fostering greater unity within the community. The more individuals strive to live holy lives in conformity to the Gospel, the closer people will be in union with God and “the more deeply and easily will they be able to grow in mutual brotherly love,” he said.